Why risk everything at Newcastle for Joe Kinnear? The fallout from Joe Kinnear's appointment as director of football continues. Just 24 hours after the club agreed a three-year deal with their ex-caretaker boss, managing director Derek Llambias quit St. James' Park. Kevin Hatchard of Sportsmedia believes there's no method to this madness at all. If Joe Kinnear is the answer, many horrified Newcastle United fans are wondering what on earth the question could have been. Four years after leaving the Magpies’ managerial hot-seat because of a heart problem, 66-year-old Kinnear has bumbled his way back into St. James’ Park with all the grace and verbal dexterity of Manuel from Fawlty Towers. Kinnear revealed on Sunday that he had been offered the role of Director of Football, but it took until Tuesday for the Magpies to sheepishly confirm the appointment. Kinnear’s initial statement dripped with bravado – he announced his intention to make Newcastle “far better than they are now”, and lauded himself as a “good tactician and a very good judge of a player.” He also suggested he would have the final say on transfers and would get rid of players who aren’t good enough. Kinnear gave an extraordinarily bone-headed interview to talkSPORT on Monday night, claiming to have signed Tim Krul when in fact the Dutch keeper was already at the club when he arrived. There was some solace to be taken from that part of the interview - Krul was just about the only player who Kinnear named correctly in the entire quarter-of-an-hour. Kinnear also claimed he has won the Manager of the Year award three times (he has won it once), and that he played over 400 games for Spurs (he hasn’t). As amusing as all of this is to the neutral observer, there are serious misgivings amongst the Newcastle support about a man who has spent less than six months of the last nine years in the dugout. No-one can take away Kinnear’s successes as a manager at Wimbledon or as a player at Tottenham, but those glories have long faded. It seems inconceivable that Kinnear would have landed such a high-profile position had it not been for his friendship with Magpies’ chairman Mike Ashley. Kinnear has already lambasted the club’s 16th-placed finish in the Premier League, but there were mitigating factors. A catastrophic set of injuries made life difficult for boss Alan Pardew, and his squad was further stretched by the club’s outstanding run to the quarter-finals of the Europa League. Pardew has conceded he gave too much responsibility to some of the club’s youngsters in the early part of the campaign, and as a result mistakes were made and Premier League points went begging. However, this was an error that Pardew had already admitted to and rectified with an intelligent January transfer spree. Kinnear is bringing the Polyfilla and the trowel when the repair work’s already been done. Newcastle’s transfer policy has been prudent and thoughtful in the past couple of years, and if I was a Magpies fan I would be concerned by potential damage to an efficient system. Chief scout Graham Carr has overseen the arrival of some excellent players. Yohan Cabaye and Cheik Tiote are fine midfielders (although Tiote’s form has dipped), Papiss Cisse made an instant impact on his arrival from unheralded Bundesliga club Freiburg (the departure of Demba Ba did him no favours), Mathieu Debuchy will be an excellent right-back for Newcastle when he adjusts to the pace of the Premier League, and I think both midfielder Moussa Sissoko and defender Mapou Yanga-Mbiwa are shrewd acquisitions. This Pardew-Carr axis has worked pretty well, and Ashley has now thrown a Kinnear-shaped grenade into the mix. Kinnear’s input and contacts may well enhance Newcastle’s transfer policy, but the point is that we just don’t know what impact he’ll have, and his arrival is therefore a huge risk. Kinnear has had verbal diarrhoea since Sunday, and one wonders if he can resist commenting on the team’s displays throughout the season. He insists he has a good relationship with Pardew, but will that remain the case when the Magpies hit their first rough patch of the season? Will Kinnear loom over Pardew’s shoulder when the pressure’s really on? Will Kinnear irritate star players, like he did when he referred to Charles N’Zogbia as “Insomnia”, causing a talented winger to quit the club? Only time will provide the answers to these questions, but the last time Kinnear was directly involved with a Newcastle campaign, the Magpies were relegated at the end of the season. The club’s fans will desperately hope lightning doesn’t strike twice at St James’ Park. They say "never go back" in life - and especially in football. But it's a maxim far from Jose Mourinho's thinking as he embarks on a new four-year contract at Stamford Bridge. 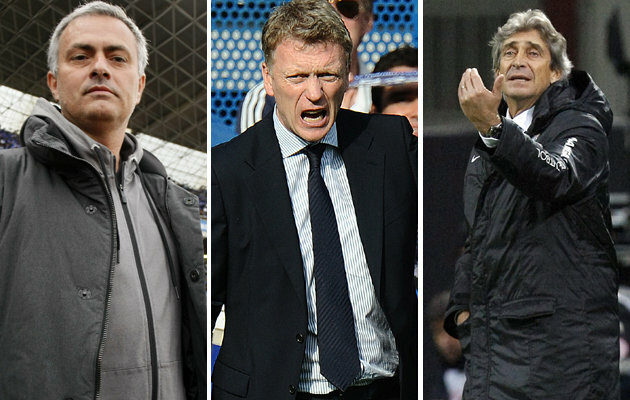 And Kevin Hatchard has four reasons why Mourinho's return will be successful like before. 1 – Mourinho is one of the most successful managers of his generation. Mourinho’s critics are enjoying beating him with a Real Madrid-branded stick, but it says a lot for his glittering CV that his time in the Spanish capital is being derided by many as a failure. In the shape of Leo Messi-inspired Barcelona, he was up against arguably one of the greatest teams of all time. Despite this calibre of opposition he won the La Liga title (setting a points record of 100 in the process) and the Copa del Rey (Real’s first success in the competition for nearly two decades). Much has been made of Real’s failure to win the Champions League under Mourinho, but Los Merengues reached the semi-finals in each of his three seasons. In the six seasons that preceded Mourinho’s tenure, Real failed to progress beyond the last 16. Mourinho’s La Liga title win means he has now won domestic championships in four different leagues, and three of those competitions (Serie A, Premier League, La Liga) are widely regarded as elite. The last time Mourinho failed to deliver at least one league title during a spell at a club was when he was at Uniao de Leiria, and in fairness I don’t think even the most ardent Leiria fan expects to be cheering their boys to title glory any time soon. Sir Alex Ferguson has quite rightly been lauded for his magnificent, trophy-laden career, but it’s worth considering that Mourinho has delivered the same number of Champions League/European Cup wins in 13 years as Fergie did in more than double that time. To further enhance that achievement, Mourinho has reached the pinnacle of European football with two different clubs, and in the space of two seasons he won both the UEFA Cup and the Champions League with Porto. Three European trophies, seven league titles and six domestic cups – Mourinho’s a winner, it’s as simple as that. is willing to invest in the squad further. Petr Cech remains one of the most reliable keepers in the Premier League, while promising Belgian stopper Thibault Courtois is set to accrue a third consecutive season of experience whilst on loan at Atletico Madrid. As a unit Chelsea’s defence was far from convincing last season, but the individual players are talented. Ashley Cole and Cesar Azpilicueta are both excellent attacking full-backs, while Gary Cahill and Branislav Ivanovic are solid defenders, although perhaps not a solid partnership. Perhaps Mourinho’s biggest conundrum lies in central midfield. Frank Lampard earned a new contract with a magnificent, record-breaking season. He may be a first-team regular – not because he’s a trusted lieutenant of Mourinho, but because he smashed in 15 Premier League goals last season. David Luiz put in some stirring, all-action displays at the heart of Chelsea’s midfield last term – he broke up play, started attacks and scored some spectacular goals. Luiz is a far better proposition in midfield than he is at centre-back, where his lapses of concentration can be more easily punished. That said, reports suggest Mourinho is not a fan of the extravagantly coiffeured Brazilian, and he may be a high-profile departure. If Mourinho adopts a 4-2-3-1 formation, he is spoilt for choice in the attacking midfield department. When Mourinho holds the morning assembly, they’ll be the group with their hands up most insistently, desperately trying to catch the teacher’s attention. If Mourinho sticks with what he’s got, Juan Mata (12 PL goals and 12 assists last season), Oscar (4 PL goals, 5 assists), Eden Hazard (9 PL goals, 11 assists) and Ramires (5 PL goals) are all in the mix, with Schurrle, Victor Moses and the returning Kevin De Bruyne all keen to make their mark. Mourinho says young Belgian international De Bruyne is ready to play for Chelsea, and after an outstanding loan spell at Werder Bremen (9 Bundesliga goals, 10 assists), it’s hard to disagree. On the subject of Belgians who’ve had excellent seasons out on loan (what a link - this stuff isn’t just thrown together, you know), Romelu Lukaku’s in contention for a striking spot after excelling at West Brom. The former Anderlecht man showcased his impressive mix of pace, power and composure, scoring 17 Premier League goals. At Chelsea (Didier Drogba) and Inter (Diego Milito) Mourinho used powerful target-men, and I see no reason why Lukaku can’t fill that role. With Fernando Torres and Demba Ba also in contention, and a big-money signing a near-certainty, Chelsea won’t be short of firepower. 3 – The fans are on board from the start. When Rafa Benitez was appointed as Chelsea boss midway through last season, sales of plain paper and marker pens went through the roof in the West London area. Benitez was greeted by a barrage of crudely penned banners and signs, displaying displeasure at his arrival. Despite such needless vitriol, Benitez went on to secure a top-four finish and a major European trophy, but the poisonous atmosphere at some home games hardly helped the team’s performances. Many of Chelsea’s best displays under Benitez came away from Stamford Bridge, and he won just one of his first five PL home games. Conversely, Mourinho will be accorded messianic status at Stamford Bridge, and it wouldn’t surprise me to see Chelsea’s home record significantly improve. 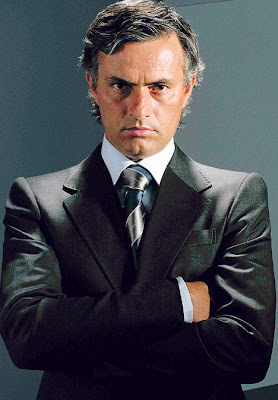 4 – Mourinho has a proven track record in English football. In his first two seasons in England, Mourinho won two Premier League titles, racking up a club-record 29 top-flight wins in each campaign. In that first season Chelsea broke the Premier League points record, collecting a gigantic 95. In his three full seasons in England, Mourinho also won two League Cups and an FA Cup. To conclude, Mourinho says he’s willing to see out his four-year contract at Stamford Bridge, and is even happy to stay beyond that. His career path to date suggests he won’t necessarily stay in West London for that long, regardless of his level of success. He might not be there for a long time, but it seems to me that Chelsea fans are in for a good time. Do you agree with Kevin? Drop us a comment now. Roberto Martinez secured a four-year contract at Everton and then promised, “I will get you into the Champions League”. I wonder if that coat would fit Roberto? In all but one of his eleven seasons, even with continuity, full support of chairman Bill Kenwright and most fans too, David Moyes couldn’t do that. So, it's a big, big shout from the incoming Wigan boss. A lot of the swirling winds of fortune must blow the right way for Everton to overturn the likes of Chelsea, Arsenal and Spurs to claim fourth and they have no more right to the top table than other, equally ambitious clubs like Liverpool, Newcastle and Villa. 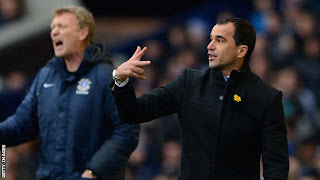 Martinez now becomes a hostage to those words, whereas perhaps what he should have said at his first Goodison news conference was, “I won a major trophy at Wigan, I’ll do the same at Goodison and help take the club to the next footballing level”, achieveable, open and something Moyes couldn't. Everton have only employed fourteen managers in their history and Martinez knows he'll be given more time than other clubs who were attracted by his talents. It was this time last year that he met Liverpool representatives in Miami - but was warned away by his own instincts and those of the very publicly negative comments of his then boss, Dave Whelan. Martinez also turned down Aston Villa twice. And it's not just the ex-Wigan boss' tactical nous that won him a crack at the Everton job. It's his ability to balance the books. Martinez managed to reduce Wigan's wage bill by 25% in the last four years. As other clubs avoided such stringent cost-cutting, did that ultimately cost Wigan their place in the Premier League? 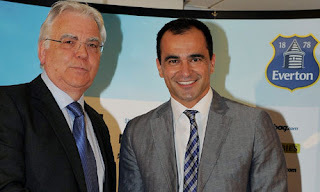 There's an undeniable chemistry between the new partnership and looking at Kenwright's relationship with Moyes and Whelan's with Martinez, it does look a very solid appointment - the right platform at the right club. But what about that big promise? I’m not saying Martinez isn’t capable of qualifying for the top four. He’s a good tactician – and develops good players. But if he does secure Everton a place in the big-time, his stock will be so high, Kenwright won't be able to keep hold of him. Dave Whelan said many times that his young Wigan boss would manage a top European club one day and he didn't have Everton in mind when he said it. The old football maxim, Never Go Back springs to mind. Kenny Dalglish at Liverpool? Kevin Keegan at Newcastle, Pamela Anderson at Baywatch. Careers go south quickly, you know! On the face of it, Jose's second coming looks to be a great return. He was the man who made Fergie buckle at Manchester United with two successive Premier League titles, an FA Cup and two League Cups. But I say, Jose II of Chelsea has found "any port in a storm". Overlooked for the jobs at Old Trafford, Manchester City, Bayern Munich – and firmly shown the "mutual consent door" at the Bernabeu, Mourinho's cultivated a reputation for itinerance in an era of continuity. It's only Chelsea that suited Mourinho. A marriage of convenience in a less than ideal world, some say. There was no other elite club for him. Respected for his track record? undoubtedly. But gazed on lovingly from the lofty heights of the boardroom? Not so much. The Special One's glister is tarnished. 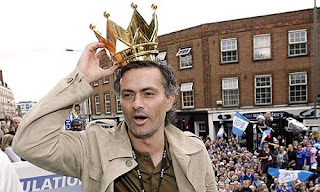 Without a trophy in his last season at Madrid and having fallen out with senior players and media too, this isn’t the Mourinho who stormed into the Bridge nine years ago having won the Champions League with Porto. And one of the biggest names in football agrees. “Mourinho will never win a prize again,” Johann Cruyff told the Sun. “I think that because of the way he acted in Madrid. He blamed everyone and everybody when something went wrong in Madrid. “And he is playing games with people who are working there. Mourinho himself played an unbelievably negative part in his Madrid years. First he moved out general manager Jorge Valdano and later he did the same with director of football Zinedine Zidane. “And in the end he dropped Iker Casillas, the captain of the Spanish national team. Jose was famed for his thorough tactics at Chelsea and Inter and instilled a belief in his players that it was impossible to concede goals. But he let Robert Lewandowski score four against his Real defence in the Champions League semi this season. Young Jose wouldn’t have let that happen. Young Jose was fired up to prove everyone wrong. But midlife Jose is coasting now and his arrival at the Bridge is a massive payday based on his decade of decoration - not his masterplan for the years ahead. But the 50-year-old believes he has plenty of gas in the tank, "I feel the people at Chelsea love me and in life you have to look for that". The meaningful love he needs is from Roman Abramovich. Five-and-a-half years ago, Roman lavished millions on Jose to get him out of the door. 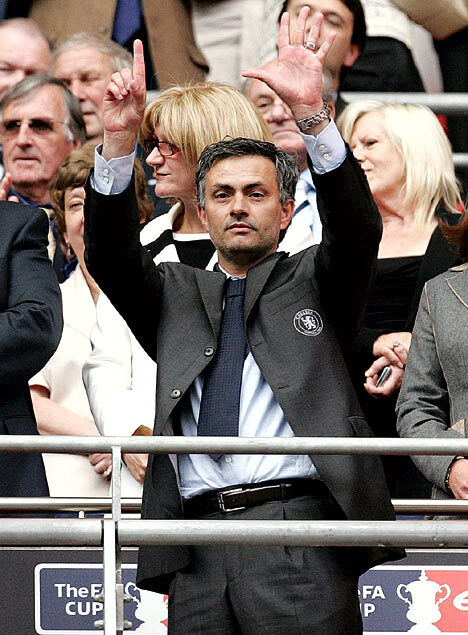 Now, after a parade of the world's greatest managers in the Stamford Bridge dugout, Jose suddenly fits the bill again. And if he can engender a togetherness absent in Madrid, Jose may prove his detractors wrong with a very good squad that he's inherited.